Inside greeting: I am so lucky to have a Grandma who is loving and special and smart! 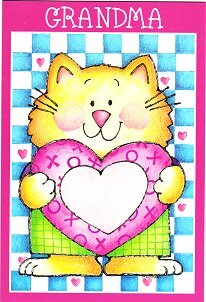 And I'd just like to say on this Valentine's Day that I love you with all my heart! Envelope included.